China’s Cabinet, the Standing Committee of the National People’s Congress, on Wednesday, ratified the $100 billion BRICS Bank. China approved the agreement at the bimonthly-session of the National People’s Congress Standing Committee, which runs until July 1, becoming the final country to ratify the new lender. The agreement was signed by the bloc’s five members — Brazil, Russia, India, China and South Africa — on July 15 last year during the sixth BRICS summit in the Brazilian city of Fortaleza. The NDB will have initial authorized capital of $100 billion, and its initial subscribed capital of $50 billion will be equally shared among the founding members. For the time being, the BRICS Bank agreement among the five countries will not apply to Hong Kong, said the Chinese Finance Ministry. India, Brazil, South Africa and Russia have already ratified the Bank. Once the agreement is approve by the NPC Standing Committee, the Chinese government will inject $10 billion as prescribed, Chinese Finance Ministry officials said. 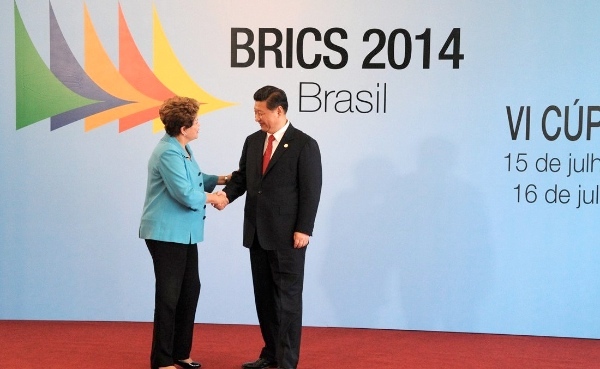 “The establishment of the bank will be a milestone in financial cooperation among BRICS members. Aside from its main funding function, it will help enhance the bloc’s role in the international arena and promote reform of global economic governance,” said the Chinese Vice Finance Minister earlier. The BRICS New Development Bank will be launched at the first session of its Board of Governors in Moscow on 7 July, Russian officials have confirmed. It will stipulate a three-tier governance structure — a board of governors, a board of directors and management led by the president. India has already nominated the first BRICS Bank President, Kundapur Vaman Kamath. The New Development Bank will provide a financing alternative to the World Bank, where the five large emerging markets have sought more clout. BRICS leaders also announced the establishment of the BRICS Contingent Reserve Arrangement, a 100-billion-dollar fund from which the BRICS member countries will be allowed to draw funds when going through a crisis. The bank is set to be headquartered in Shanghai. Brazil’s envoy to the IMF and newly announced BRICS Bank Vice President , Paulo Nogueirga Batista, said at the BRICS Business forum last month in Russia that the BRICS are “not fully satisfied with the international financial architecture, not fully satisfied with the role that our countries are allowed to have at the IMF and the World Bank”. “Our countries are very active in IMF….We work together at the IMF… Despite this active involvement in the Washington institutions, our countries have begun to realize that we need to do our own thing,” said Batista.